Pink buds cover the branches in spring, opening up into fragrant, large double white blooms which fade to pink with age. 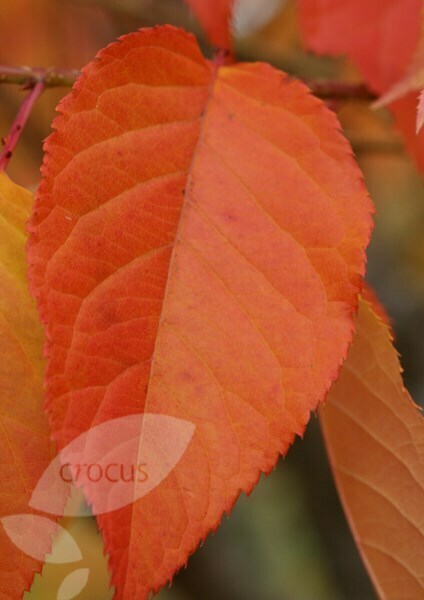 The young bronze foliage turns dark green in summer then copper red in autumn. 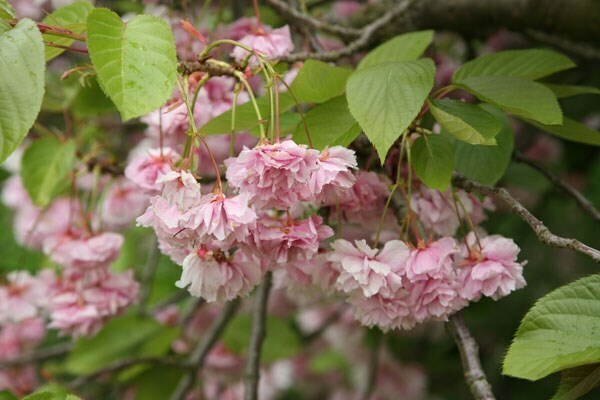 The attractive spreading habit and umbrella-like canopy make this a popular Japanese cherry for medium sized gardens.